Last May, Edward Snowden began to disclose in the press classified information about a sweeping surveillance program conducted by the National Security Agency. Is Snowden a traitor or a whistleblower? Is the NSA program a necessary safeguard or unconstitutional? What expectations of privacy can we have the digital era? 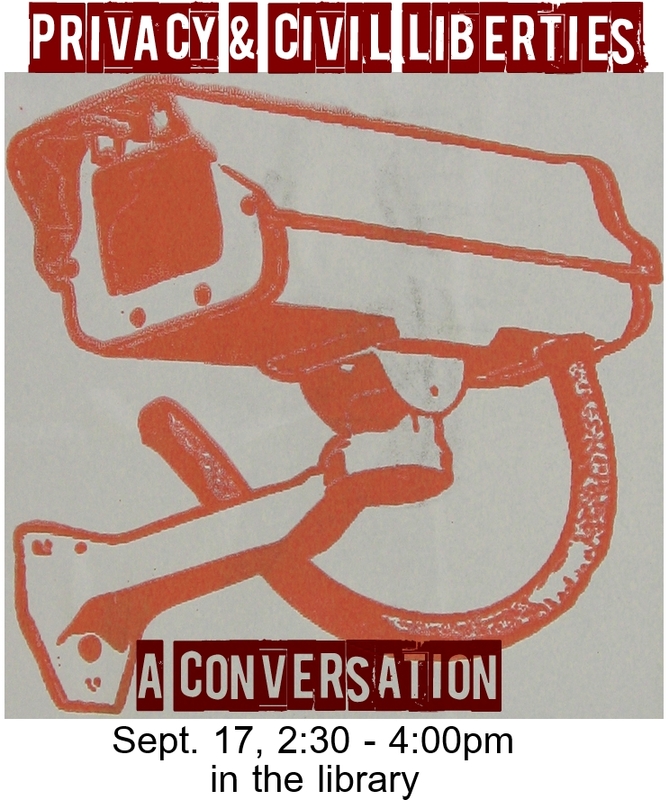 Join us on Constitution Day for an informal conversation about privacy, information ethics, national security, and Constitutional rights. Join faculty from Political Science, Math and Computer Science, History, Sociology/Anthropology, and the Library for this timely discussion. Yes, there will be refreshments, thanks to funding from the Dean of Students office. Thank you!